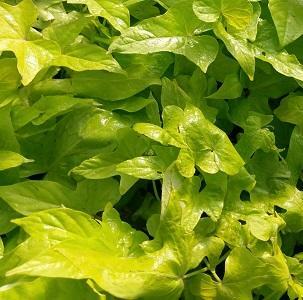 Margarita grows bright chartreuse heart-shaped leaves that spread, vine and add great contrast to any landscape or container! Ipomoea, commonly referred to as Sweet Potato Vine, is a tender perennial and a greenery favorite. 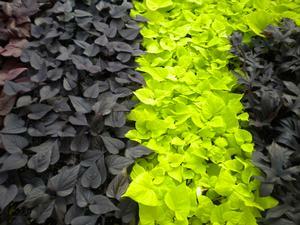 Ipomoea produces a variety of boldly colored foliage, ranging from green, variegated and deepest, darkest purple, nearing black. Its colors will come to life through early Spring, Summer and Fall, right up until the first frost. Ipomoea is desired most for its vivid foliage, rapid vigorous growth, heat tolerance, and trailing/vining growth habit for landscape, beds, baskets and containers. 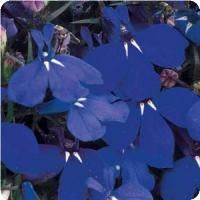 Ipomoea is great for early Spring through Fall and Winter in mild climates with vibrant colors to brighten up any container or landscape. 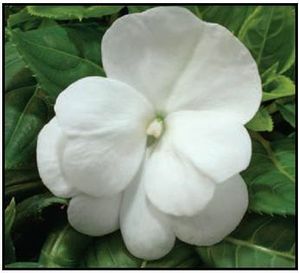 They mound to about 6-12”, then spread, vine and climb nearly as far as you will let them!